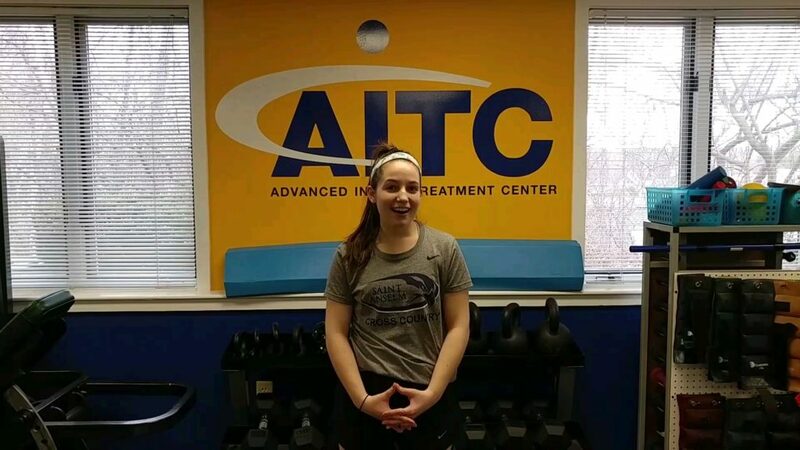 Erin came to AITC with progressive knee pain including a history of back pain. She had been diagnosed with Illiotibial band syndrome. This illiotibial band pain was reproduced with a test for sciatica. Because there seemed to be a back component to her symptoms, we addressed this to help resolve her knee pain. Erin worked very hard in PT and was very open to all of our suggestions. It is a true pleasure to work with Erin and we wish her continued success in her recovery as we work towards helping her meet her goals!